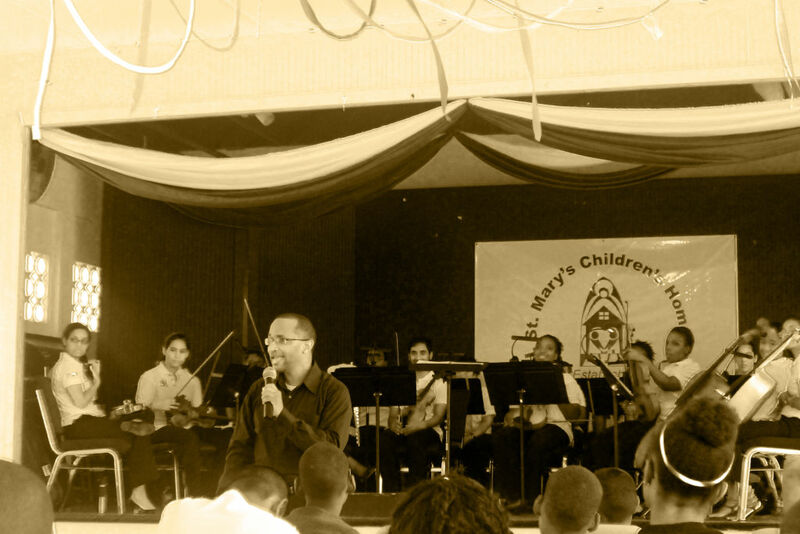 On Saturday 11th July, 2015 the National Philharmonic Orchestra were welcomed by the St Mary’s Childrens’ Home in Tacarigua. Approximately 50 children between the ages of 5-15 years of age took part in the outreach activity. 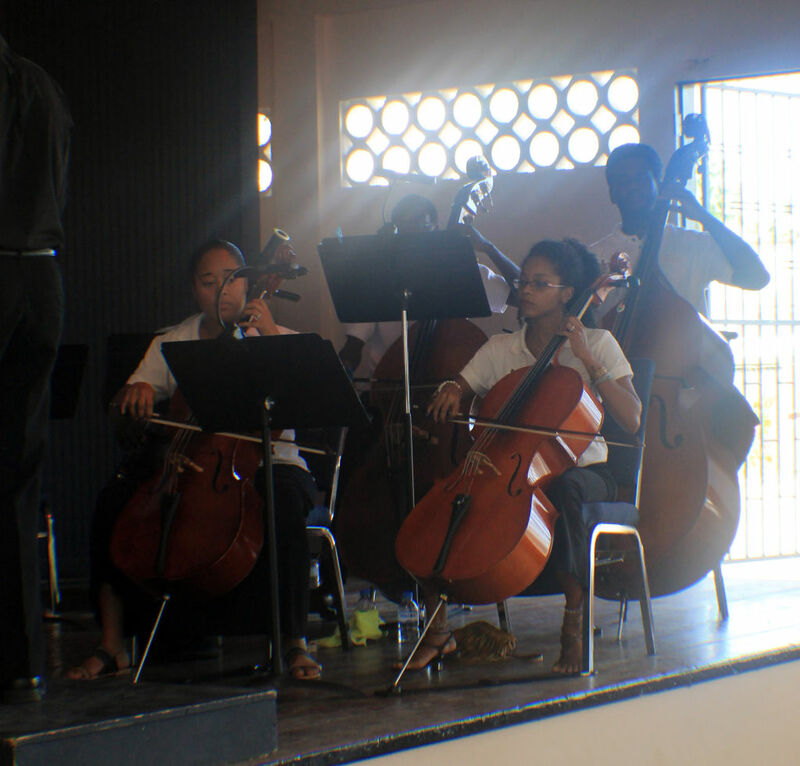 The orchestra shared a few classical pieces of their repertoire like Handel’s Entrance of the Queen of Sheba, Mozart’s Symphony 40, Beethoven’s Symphony 5 – Movement 1 and Strauss’ Emperor’s Waltz. Dr. Roger Henry, played the double-role of workshop host and orchestra conductor and took a few minutes to describe the workings of some of the lesser known orchestral instruments such as the Bassoon and Timpani. He took full advantage of the fact that some of the children were actually participants in another ongoing Ministry of Arts & Multiculturalism music project, Music Schools in the Community, and comfortably drew upon their knowledge of the Clarinet and Trumpet as reference points for introducing them to the Bassoon and Trumpet. The French Horn, Tim pani and Violin seemed to be favourites among the children and members of the orchestra spent some time giving demonstrations to small groups as well as talking about the music proficiency required by professional musicians. One highlight of the visit was a short performance by two children each sharing their skill in playing the trumpet and saxophone. 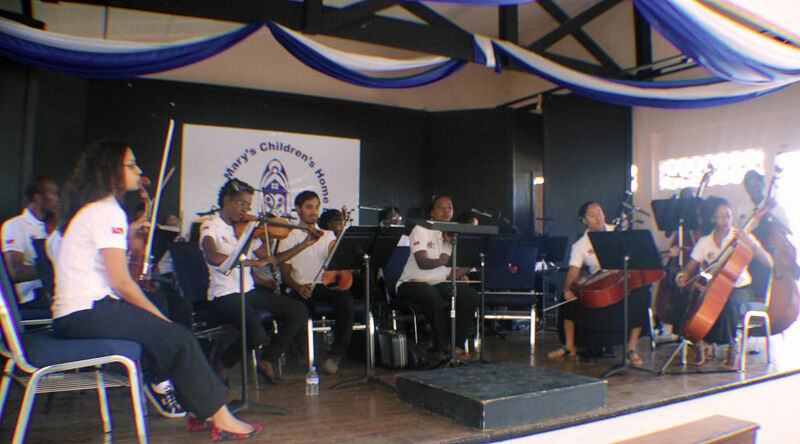 Before the orchestra played Jeremy Chatoor’s arrangement of Kitchener’s “Ole Lady Walk a Mile,” Dr. Henry led the group of children in singing the calypso.